Once diluted it smells pleasant but is watery and does not "cling" to the sides of the toilet bowl; I find it just as good as the thicker Everyday toilet cleaner but our domestic staff say they don't like it because it's too thin and you can't see where it has been applied so easily. Developed in line with our innovative concentrates range, our Gompels Concentrated Toilet Cleaner is a fast working and highly effective choice for busy work environments. 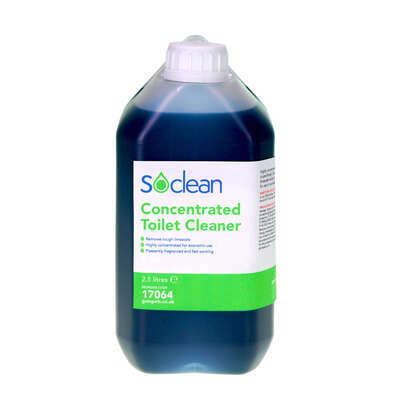 Ensuring your staff and public toilets are kept to the highest hygiene standards, this concentrated acidic toilet cleaner works hard to eliminate limescale build up.